Tell Congress that you want more trains! As you know, trains are a great way to travel. 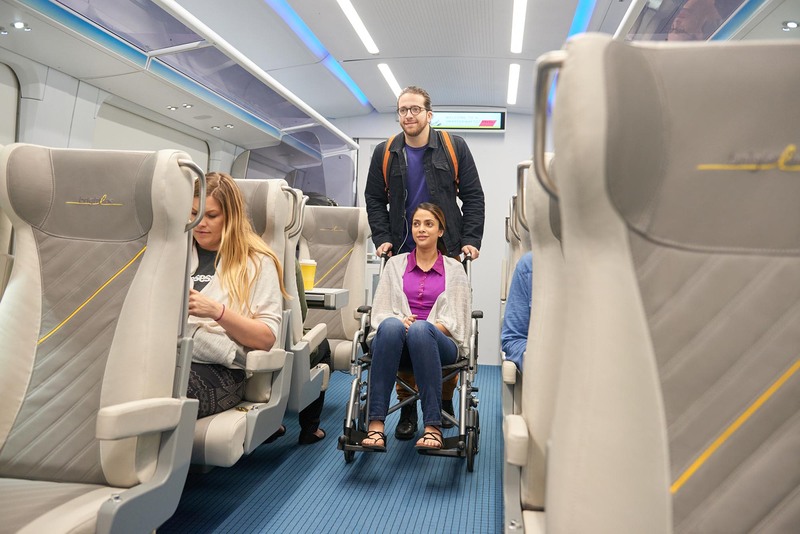 From the moment you step on board to the moment you arrive, trains give you the freedom to walk around, use the restroom, or visit the café car. There are no restrictions on using your phone, tablet or laptop. And they put you closer to your destination.But lets face it, America’s trains have seen a lot of miles. It is time for Congress to fund new trains, to more places, on faster schedules. Like new cars, new train designs are strong yet light, allowing them to accelerate quickly. They have a low center of gravity and sophisticated suspensions that allow faster running through curves and give a smoother ride. They will make your ride more enjoyable, safer and more reliable.Congress has ignored railroad passengers for too long. While other countries have built extensive networks of high-speed trains, our system remains second rate. The first step is for Congress to fund new trains. Please send an email to your congressman and senators today. Fill out the form below to bring up a template for an email and the contact information for your DC representatives. Please add a second paragraph to your email about where you want to take the train and why.